The next step was to go a bit onto Node.js and write a first small application. First you need to download Node.js and install it on your machine. I downloaded the Windows version 0.6.14. 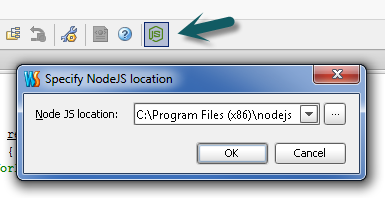 When Node.js is installed on your machine you should find it on the folder C:\Program Files (x86)\nodejs for 64 bits machines and on C:\Program Files\nodejs for the 32 bits. Then start a PowerShell window and type “node -v” you should see v0.6.14. I went a little further following the Node Beginner site and created a first module. 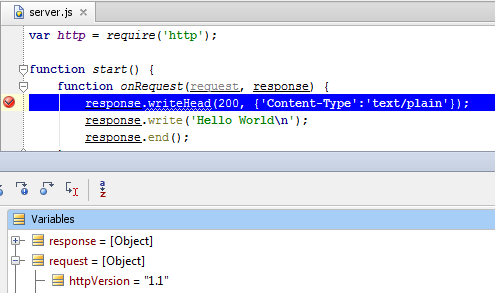 To do so I used JetBrains WebStorm 3 which you can easily configure to run and debug your Node.js application. Which will help during my learning of this new technology!